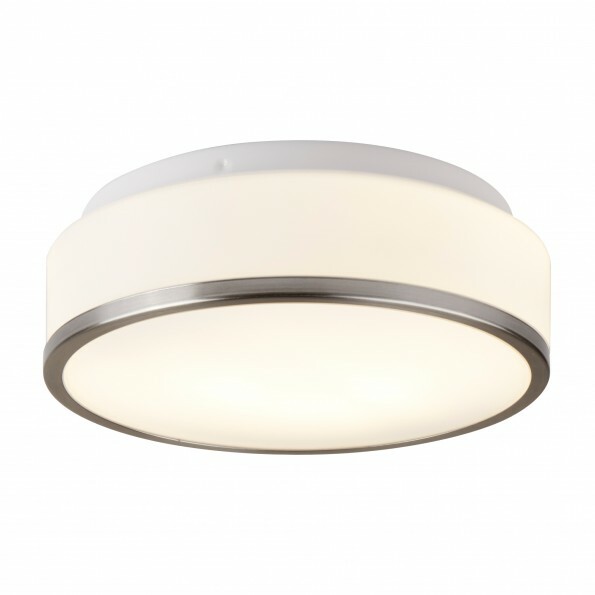 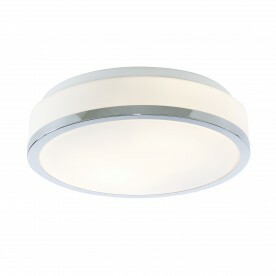 This 2 light flush fitting with opal glass shade and satin silver trim looks elegant on any bathroom or kitchen ceiling. 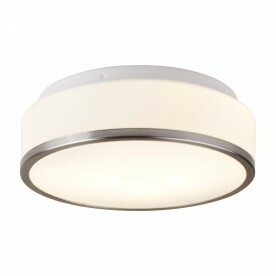 The two lights are set behind a large 28cm diameter opal glass shade, which creates a beautiful lighting effect and brightens up the entire room. 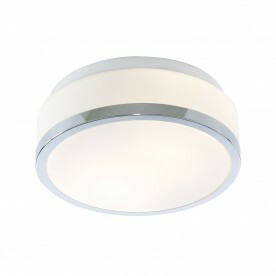 This simple white fitting has a stylish satin silver finish trim to complete the look. 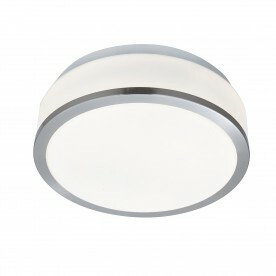 This flush light is also IP44 rated and fully splashproof.